Alcohol misuse has a significant impact on individual and community health and well being. As GPs and mental health professionals we see many people who drink too much alcohol, but the subject does not necessarily get the attention it needs, especially in the context of complex mental health issues. Severe longstanding alcohol misuse is easy to identify but hard to treat. Early identification of risky behaviour and misuse of alcohol may be of benefit to many who might otherwise slip into chronic and severe overuse. Because alcohol has such deleterious effects on physical and mental health it is our responsibility to have our patients and clients understand its impact and to encourage behaviour change toward a healthier lifestyle – even in the face of social and cultural pressures that work to promote excess alcohol consumption. In this webinar an addiction expert, an experienced GP and an allied mental health clinician will discuss the ways in which we can improve our practice in relation to alcohol misuse by identifying the problem where it exists and using techniques of motivational interviewing to help the people we see change their behaviour. In the course of the webinar we will examine both face to face strategies and online resources that can help us in our clinical work around alcohol misuse. GPs and GP registrars, psychologists and allied mental health practitioners, in fact any health professional with an interest in improving outcomes for patients with mental health conditions. Dr Sarah Barker (D.Psych(Clin), BBSc(Hons), MAPS) is a clinical psychologist with a keen interest in the relationship between alcohol use and psychological wellbeing. Her interest in this area grew through her work in a research and therapeutic capacity in Florence with the psychiatrist and Director of Centro Alcologico Integrato (unfortunately translated in English as The Alcohol Centre! ), Dr Allaman Allamani, a leading specialist in alcohol dependence in Italy. 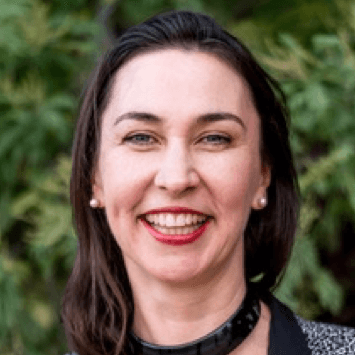 Sarah is the director of Enrich Health and Psychology in Melbourne and has worked for Black Dog Institute in training and e-mental health in practice content development roles over the past five years. A FRACGP and a Fellow of the Chapter of Addiction Medicine in the RACP, Hester completed her Masters in Mental Health in 2013. She has worked in primary health care settings for the last 25 years. She is a staff specialist in addiction medicine, has many years’ experience working with street based injecting drug users and is the lead clinician in the GP liaison in alcohol and other drugs (GLAD) project in South East Sydney local Health District. Currently undertaking a PhD, she also works in general practice in Newtown, Sydney and is chair of the RACGP GPSI in addiction. Dr Jane MacLeod is a GP in Ipswich, Qld and a mother of 3. She has special interests in mental health including complex trauma, sexual health, LGBTIQ + health and Indigenous health. She is also studying acupuncture. She has worked in a number of settings including remote Aboriginal communities, urban Aboriginal medical services, sexual health and family planning, child, adolescent and adult mental health. She is currently working in urban general practice and as a clinical editor and medical educator. She is passionate about emotional well-being and self-care for doctors, evidenced based medicine and health professional education. She loves to sketch and paint and wants to work on not skipping breakfast and doing more mindfulness this year.